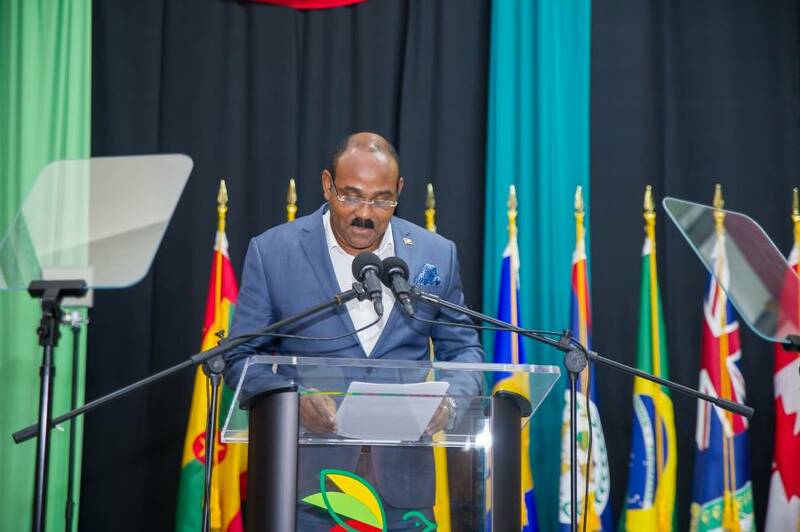 Gaston Browne, Antigua and Barbuda Prime Minister, believes that the time has come for LIAT to receive a subvention from the governments of the OECS and Barbados as part of measures to make it more viable. “In essence, LIAT needs fresh cash,” he told participants attending the seminar on “Air transport Competitiveness and connectivity” which is part of the 48th annual general meeting of the Caribbean Development Bank (CDB) which opened in Grenada on Wednesday. “We have to see subsidising as an investment, an investment in the region to ensure the integration process works,” he said. Providing justification for what he describes as a solution to the LIAT problem, Browne said that the airline should receive the same courtesy other international airlines receive when they decide to put some destinations on their routes. “I find it extremely interesting that our governments will contribute to campaigns of other airlines in millions of dollars but not in an institution as LIAT which is so critical for its role in our economic sustainability. Some governments find every reason why they ought not to contribute,” he said. “When we look at other countries some airlines are profitable, but they are subsidised by the state. We should all come together and provide some subvention for LIAT. That structure itself will render LIAT more profitable,” he said. Browne also proposed a reduction and or complete removal of airport taxes because it is hindering travel within the islands. “The size of the market of the region is small, we have small populations, and these taxes increase cost, and so if a reliable air transport is essential to Caribbean economies we need to encourage more movement by reducing on the cost of travel,” he said. “The time has come for us to reform and be proactive in our strategies. We have hurt ourselves by introducing all these travel taxes,” he said. Benjamin…You are spot on with your observation and comments. That’s the type of visionary needed in this company. LIAT “cant see the wood from the trees” and sometimes behaves like a small child.. if you pot a lollipop and $1000US in front of a small child, he/she will always go for the lollipop!!!. At lease the West Indies cricket team had achieved success and was the most feared team for a period of time. What can we say of LIAT.